Methods: EGCG loaded Solid Lipid Nanoparticles (SLNs) have been developed using microemulsification method and pharmacological assessments were performed. Results: Surface morphology and micromeritics analysis showed the successful development of EGCG loaded solid lipid nanoparticles with an average size of 162.4 nm and spherical in shape. In vitro release studies indicated a consistent and slow drug release. Pharmacological evaluation of SLN-EGCG demonstrated a significant improvement in cerebral ischemia-induced memory impairment. 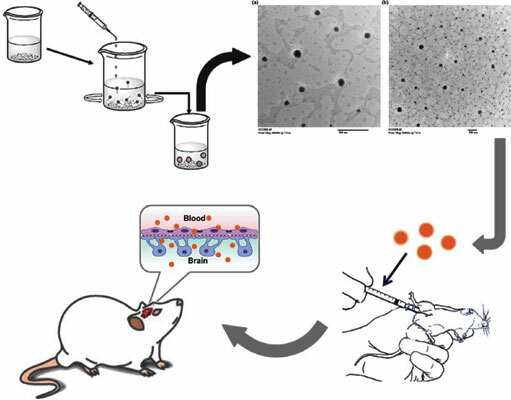 Conclusion: The results indicate that the EGCG loaded SLNs provide a potential drug delivery system for improved delivery of EGCG to the brain, hence, enhancing its brain bioavailability. EGCG, nanoparticles, stroke, brain, memory, neurobehaviour, ischemia.